Tara Sophia Mohr is a coach and speaker who encourages Wise Living. Her work writing, teaching, and speaking about how we can live with greater peace, delight, and positive impact – embodies this fusion of inner and outer work, mind and heart, learned knowledge and intuitive wisdom. She’s appeared widely on national media, including stints on The Today Show as a regular contributor on the Huffington Post. 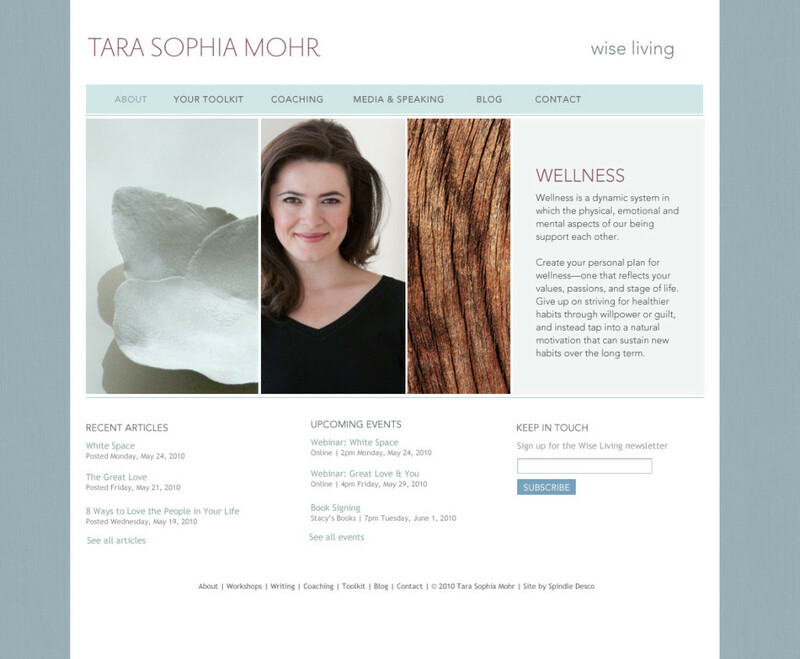 Tara needed a website to that would serve as a springboard for her “wise living” mantra and firm but supportive approach to finding everyday joy. More than marketing, this site was designed to be a toolkit for those seeking inspiration and support, especially women in growth and leadership roles. Much of the look and feel is inspired directly by Tara’s own sense of style and personal art collection.